I have been receiving several emails with contact requests on Grouply. I actually do not follow many mailing lists in this period, apart from zf-contributor. 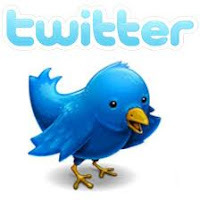 So if you want to connect with me, I'm on Twitter, and you will be sure that I read tweet where I am mentioned every day. I do not use Facebook instead - except for people that I have already met out of the Internet (conferences, work, university). This blog and Twitter are really the best ways to chat for me. 1. We can connect the set-top box to the tv first, and when it goes online it will bypass the Scart signal to override both the Vcr and the Dvd player. For switching between those two instead, we'll use this Scart switch. 2. This MySQL database, which is populated by the turnstile at entrance of the school when students enter the building the first time, should be synchronized with the custome e-school software. We can easily make a PHP script which is run daily and selects the right rows and inserts them in the right place. 3. We cannot fix the ship's engines in time, and the shields cannot survive the lava flow, under which we will be trapped, for long. But we can to use the impending explosion itself as our ticket out: the volcano's cataclysm will launch us, and by using the shields for some instants, we can engage the hyperdrive for a split second to get them into orbit, where we can be saved. 4. You can boot from the Ubuntu 10.04 live cd and get a running system from here, then check if your modem is working. You'll install it over the disk with Windows XP, which is now too slow to use, only if there are no connectivity problems. Besides that, you can also install Ubuntu and leave an empty partition for reinstalling Windows on it later." Now detect which ones are real engineers quotes (mine, actually) and which comes from Stargate Atlantis. After a summer marathon of three series I started sound like Rodney McKay when explaining engineering topics to naive people. I'll be presenting my talk Architecture and testability in its English version at the PHP Barcelona Conference. I gave the Italian version of this presentation at phpDay in May. Testing a web application may seem an hard task, but nowadays it is a fundamental part of the development process that ensures the application does not experience regressions, and it is free to grow incrementally. My point is that testability is a property which is desiderable not only for the ease of building an automated test suite, but also for the positive effects on the overall architecture that maintaining an application testable at the unit level produces. For example, being able to test a class in isolation is a sign of enough decoupling of it from the other collaborators, while keeping a limit on test cases length forces the production classes to be cohesive in functionalities. The treated topics range from Dependency Injection to the Law of Demeter to the inherent evil Singletons and static classes. I'm a practical guy, so I will show you code; but not so much that it isn't readable. This is an occasion for everyone who wanted to see my talk at phpDay, but wasn't there, to get a nice wrap-up about why making your code testable improves its design. Since I tweeted this phrase in quotes ("), we can assume it is not an original work of mine. I guess I heard it in some presentation, probably of Uncle Bob. What kept me from including the source on Twitter was the 140 character limit. My Master's Degree specialization is in Data Engineering, and finding quotes in videos is one of the common task for multimedia search engines we study and research on. Maybe one day we will be able to find this phrase's source video with a single click, in the same way as we google a term today. Here are my article for this week on Web Builder Zone. How to set up the Pomodoro Technique in your office, which introduces the Pomodoro Technique as a tool for time management even for teams and not only for freelancers. Practical PHP Patterns: Layer Supertype, which talks about the common practice of extracting superclass, which is not always beneficial as it seems at a first glance. Why a Pomodoro helps you getting in the zone answers the common questions on getting in the zone while using the Pomodoro Technique. Practical PHP Patterns: Registry, which presents the Registry as implemented by Zend Framework 1.x and its inherent issues. After four weeks as a Software Architect in Siena, I'm back ready to begin my new university courses. I'll continue working for Allbus remotely for some hours a week. The experience has been quite interesting, as it was essentially what I am used to do on an open source project, applied to a commercial one. This is another benefit of contributing to open source: it prepares you for the challenges of your work. Besides that, living in Siena for some weeks was delightful, because of the city's beauty and population density. Walking to work instead of driving a car was particularly unusual. This week at Allbus we have been extracting methods, interfaces and classes all the time. We are hitting the point when the refactoring is paying off and we can finally remove old, duplicated and ugly code, never called in our new routines. Never stop refactoring and eliminating duplication. The answer to How many lines of code have you written today? should be something like -100. Here are the articles for this week on Web Builder Zone. Is graceful degradation dead?, which discusses the issues in accessibility of popular websites and enteprise applications. Practical PHP Patterns: Mapper, which introduces the sibling pattern of Gateway. Practical PHP Patterns: Separated Interface is about the management of dependencies by careful placement of interfaces. From Subversion to Git in a morning describes how we did the migration, comprehending svn:externals conversion to submodules, in a few hours. After a vacation on Tuscany's beaches where I was totally disconnected from the Internet and work-related topics, I'm ready to start a brand new year, first with two weeks of consulting business in Siena and then with the Master's Degree program at Politecnico di Milano. I will also attend the Alta Scuola Politecnica program, an additional set of courses for the students selected in the top 7.5% ones of every ordinary course. While I was away, some original articles of mine have been published, and they are listed here. Practical PHP Patterns: Database Session State, which discusses the storage of session data into a database compared with the more common solutions of using cookies or the server's memory. Practical PHP Patterns: Gateway, which is a basic pattern for consuming an external resource in an object-oriented, testable way. What paradigm should PHP applications embrace? is a poll which compares procedural, object-oriented and functional PHP functionalities. Feel free to express your vote. I'm leaving again in Tuscany next week, but this time for vacation on the Tirrenian Sea. You'll continue to see my articles published on Web Builder Zone anyway. Here are my original articles for this week. The different kinds of testing. You know, all those buzzwords such as functional, unit, acceptance, integration testing have a precise meaning. Practical PHP Patterns: Client Session State, an explanation on how to persist information on the client via cookies, forms or URLs. Practical PHP Patterns: Server Session State, which you can contrast with the earlier post on Client Session State. How to build a Kanban board, a practical tutorial with photographies.